Christos Papatheodorou received a B.Sc. and a Ph.D. in Computer Science, both from the Department of Informatics, Athens University of Economics in 1987 and 1992 respectively. He was in charge of the development of Digital Library and Information Services at the Library of the National Centre for Scientific Research "Demokritos" in Athens, Greece. In 2002 he joined the Dept. of Archives and Library Sciences, Ionian University, Corfu, Greece. His research interests include Evaluation of Digital Libraries and Information Services, Metadata interoperability, Web 2.0 technologies, Digital Preservation, Personalized access to Digital Libraries and Internet, User Modeling and Web Mining. He is Associate Editor of the International Journal of Metadata, Semantics and Ontologies. He is fellow researcher in the Digital Curation Department, Institute for the Management of Information Systems, "Athena" Research Centre, Athens, Greece. He is member of the Database and Information Systems Group (DBIS), Digital Libraries and Electronic Publishing Laboratory, Dept. of Archives, Library Science and Museology, Ionian University. He was the Chair of the Steering Committee of the International Conference on Theory and Practice of Digital Libraries (TPDL) (previously named European Conference on Digital Libraries (ECDL)), from September 2012 to September 2015 . He was the Chair of the Dept. of Archives, Library Science and Museology, Ionian University, from September 2013 to October 2015 . Program co-chair, 17th International Conference on Theory and Practice of Digital Libraries (TPDL2013), Valetta, Malta, September 22 - September 26, 2013. General co-chair, 13th European Conference on Digital Libraries (ECDL2009), Corfu, Greece, September 27 - October 2, 2009. Organizing Chair, 11th International Conference on User Modeling (UM 2007), Corfu, Greece, 25 - 29 June 2007. Tutorial Chair, 16th International Conference on Theory and Practice of Digital Libraries (TPDL 2012), Pafos, Cyprus, September, 23 - 27, 2012.
co-Chair of the Special track on Metadata & Semantics for Cultural Collections & Applications, part of 6th (MTSR 2012), ( November, 28 - 30, 2012, Cádiz, Spain), 5th (MTSR 2011), ( October 12 - 14, 2011, Izmir, Turkey), International Conference on Metadata and Semantics Research. co-Chair of the (meta)-data quality workshop (MDQual 2017), part of TPDL 2017, ( September, 18 - 21, 2017, Thessaloniki, Greece), International Conference on Theory and Practice of Digital Libraries. co-Chair of the 2nd ERCIM-DIS Workshop on Large Scale and Federated Information Spaces, Amsterdam, Netherlands, May 20, 2010. Chair of the Workshop on Machine Learning in User Modeling in conjunction with the Advance Course in Artificial Intelligence (ACAI '99), Chania, Greece, July 6, 1999. Member of the Program Committee of the Digital Libraries 2014 (DL 2014), ACM/IEEE Joint Conference on Digital Libraries (JCDL 2014) and International Conference on Theory and Practice of Digital Libraries (TPDL 2014) London, UK, September 08 - 12, 2014. Member of the Program Committee of the JCDL 2017 (Toronto, Ontario, Canada, June 19 - 23, 2017), JCDL 2016 (Rutgers University, Newark, NJ, USA, June 19 - 23, 2016), JCDL 2015 (Knoxville, Tennessee, USA, June 21 - 25, 2015), JCDL 2013 (Indianapolis, Indiana, USA, July 22 - 26, 2013), JCDL 2012 (Washington, DC, USA, June 10 - 14, 2012) Joint Conference on Digital Libraries. Member of the Program Committee of the TPDL 2018 (Porto, Portugal, September, 10 - 13, 2018) , TPDL 2017 (Thessaloniki, Greece, September, 18 - 21, 2017) , TPDL 2016 (Hannover, Germany, September 5 - 9, 2016), TPDL 2015 (Poznan, Poland, September 14 - 218, 2015), TPDL 2012 (Pafos, Cyprus, September 23 - 27, 2012), TPDL 2011 (Berlin, Germany, September 25 - 29, 2011) International Conference on Theory and Practice of Digital Libraries. Member of the Program Committee of the 20th (ICADL2018) (University of Waikato, Hamilton, New Zealand, November, 19 - 22, 2018) International Conference on Asia-Pacific Digital Libraries. Member of the Program Committee of the 12th (MTSR 2018) (Limassol, Cyprus, Octoberber 23 - October 26, 2018) , 11th (MTSR 2017) (Tallinn, Estonia, November 22 - December 1, 2017) , 10th (MTSR 2016) (Göttingen, Germany, November 22 - 25, 2016), 9th (MTSR 2015) (Manchester, UK, September 9 - 11, 2015 ), 8th (MTSR 2014) (Karlsruhe, Germany, November 27 - 29, 2014 ), 7th (MTSR 2013) (Thessaloniki, Greece, November 19 - 22, 2013 ) International Conference on Metadata and Semantics Research. Member of the Program Committee of the CIDOC 2018 (Heraklion Crete, Greece, September, 29 - October 05, 2018) CIDOC Conference. Member of the Program Committee of the 10th (iPRES 2013) (Lisbon, Portugal, September 2 - 5, 2013), 9th (iPRES 2012) (Toronto, Canada, October 1 - 5, 2012), 8th (iPRES 2011) (Singapore, November 1 - 4, 2011), 7th (iPRES 2010) (Vienna, Austria, September 19 - 24, 2010) International Conference on Preservation of Digital Objects. 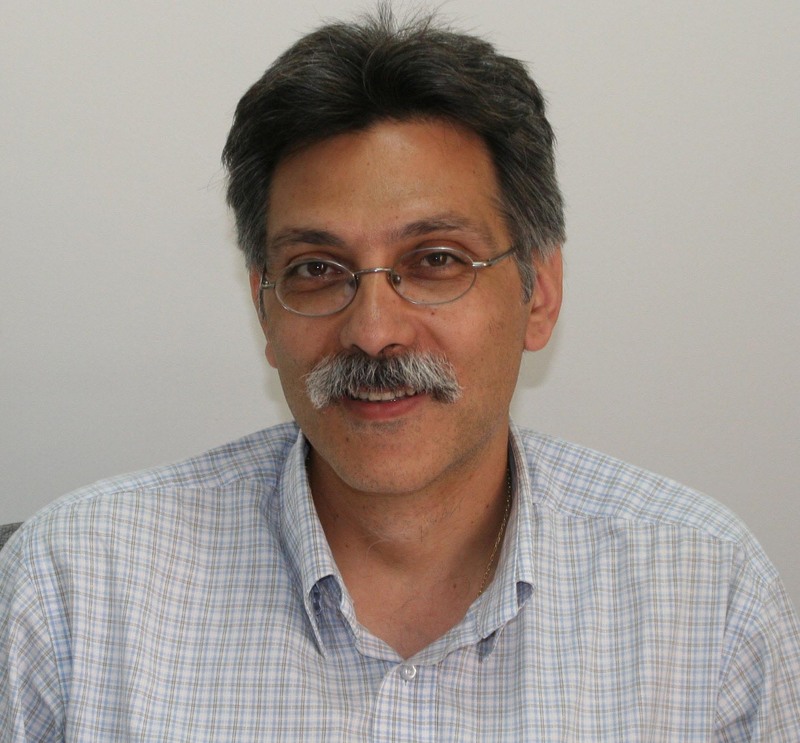 Member of the Program Committee of the IISA 2014, 5th International Conference on Information, Intelligence, Systems and Applications Chania, Crete, Greece, July 07 - 9, 2014. Member of the Program Committee of the 25th (DEXA 2014) (Munich, Germany, September 1 - 5, 2014), 24th (DEXA 2013) (Prague, Czech Rebublic, August 26 - 30, 2013), 23th (DEXA 2012) (Vienna, Austria, September 3 - 7, 2012), 22nd (DEXA 2011) (Toulouse, France, August 29 - September 2, 2011), 21st (DEXA '10) (Bilbao, Spain, August 30 - September 3, 2010), 20th (DEXA '09) (Linz, Austria, August 31 - September 4, 2009), International Conference on Database and Expert Systems Applications. Member of the Program Committee of the 15th International Database Engineering & Applications Symposium (IDEAS 2011), Lisbon, Portugal, September 28 - 30, 2011. Member of the Program Committee of the 2nd (EGOVIS 2011), (Toulouse, France, August 29 - September 2, 2011), 1st (EGOVIS 2010) (Bilbao, Spain, August 30 - September 3, 2010), International Conference on Electronic Government and the Information Systems Perspective. Member of the Program Committee of the 33rd Annual ACM SIGIR Conference (ACM SIGIR 2010) , Geneva, Switzerland, July, 19 - 23, 2010. Member of the Program Committee of the 18th International Conference on User Modeling, Adaptation, and Personalization (UMAP 2010) , Big Island of Hawaii, June 20 - 24, 2010. Member of the Program Committee of the CLEF 2010 Conference on Multilingual and Multimodal Information Access Evaluation , Padua, Italy, September, 20 - 23, 2010. Member of the Program Committee of the 22nd (AINA-08) (Ginowan, Okinawa, Japan, March 25-28, 2008) and 21st (AINA-07) (Niagara Falls, Canada, May 21-23, 2007) IEEE International Conference on Advanced Information Networking and Applications. Member of the Program Committee of the International Conference on E-Governance (ICEG-2006) , New Delhi, India, December 15 - 17, 2006. Member of the Program Committee of the 9th European Conference on Research and Advanced Technology for Digital Libraries (ECDL 2005) , Vienna Austria, September 18 - 23, 2005. Member of the Program Committee of the 6th (PersDB 2012) (in conjuction with VLDB 2012, 31 August 2012, Istanbul, Turkey), 5th (PersDB 2011) (in conjuction with VLDB 2011, 2 September 2011, Seattle, WA, USA), 4th (PersDB 2010) (in conjuction with VLDB 2010, 13-17 September 2010, Singapore), 3rd (PersDB 2009) (in conjuction with VLDB'09, 24-28 August 2009, Lyon, France), 2nd (PersDB 2008) (in conjuction with VLDB'08, 24-30 August 2008, Auckland, New Zealand) International Workshop on Personalized Access, Profile Management and Context Awareness in Databases. Member of the Program Committee of the Data infrastructures for Supporting Information Retrieval Evaluation Workshop (DESIRE 2011) in conjunction with the 20th ACM Conference on Information and Knowledge Management (CIKM 2011), Glasgow, UK, October 28, 2011. Member of the Program Committee of the Workshop on New Technologies for Personalized Information Access (PIA 2005) in conjunction with the 10th International Conference on User Modeling (UM'05), Edinburgh, UK, July 24-30, 2005. Member of the Committee of the DELOS Workshop on the Evaluation of Digital Libraries , 2004. Member of the Program Committee of the 1st International Workshop on Augmented Digital Libraries (ADL' 2014) in conjunction with the 4th International Conference on Knowledge Technologies and Data-driven Business (i-KNOW 2014), Graz, Austria, September 15-16, 2014. Member of the Program Committee of the Workshop on Web Usage Analysis and User Profiling (WEBKDD '99) in conjunction with the International Conference on Knowledge Discovery and Data Mining (KDD99), San Diego, August 15-18, 1999. Member of the Program Committee of the 22th (PCI 2018), 19th (PCI 2015), 18th (PCI 2014) Panhellenic Conference on Informatics. Member of the Program Committee of the 10th (SETN 2018), 9th (SETN 2016), 8th (SETN 2014), 7th (SETN 2012), 6th (SETN 2010), 5th (SETN 2008), 4th (SETN 2006), 3rd (SETN 2004), 2nd (SETN 2002) Hellenic Conference on Artificial Intelligence. Member of the Program Committee of the 22nd (2013), 21st (2012), 19th (2010), 18th (2009), 17th (2008), 16th (2007), 15th (2006), 13th (2004) Panhellenic Conference of Academic Libraries. Member of the Organizing Committee of the Advance Course in Artificial Intelligence ACAI'99), Chania, Greece, July 5 - 16, 1999. Member of the Organizing Committee of the 12th International Symposium on Languages for Intensional Programming, Athens, Greece, June 28 - 30, 1999. Project Proposal evaluator, Information Society Technologies (IST) program, 5th	EU R&D Program-Framework, Action Line: Digital Collections - Cultural Heritage. Member of the Expert Committee for the technical evaluation of the EU DGV IDA Care project: Health Surveillance System for Communicable Disease(HSSCD). Project Proposal evaluator, National Program for Education (EU funded), Action Line: Academic Libraries. Journal and Conference papers are here. G. Tsakonas, C. Papatheodorou (Eds. ), "Evaluation of Digital Libraries: An Insight of Useful Applications and Methods", Chandos Publishing, ISBN: 978-1-84334-484-1, 2009. T. Aalberg, C. Papatheodorou, M. Dobreva, G. Tsakonas, C. Farrugia, (Eds.) "Research and Advanced Technology for Digital Libraries International Conference on Theory and Practice of Digital Libraries, TPDL 2013, Valletta, Malta, September 22-26, 2013. Proceedings", Lecture Notes in Computer Science (LNCS) No. 8092: Springer-Verlag , ISBN: 978-3-642-40500-6, 2013. M. Agosti, J.L. Borbinha, S. Kapidakis, C. Papatheodorou, G. Tsakonas, (Eds.) "Research and Advanced Technology for Digital Libraries, 13th European Conference. ECDL 2009, Corfu, Greece, September 27 - October 2, 2009, Proceedings", Lecture Notes in Computer Science (LNCS) No. 5714: Springer-Verlag , ISBN: 978-3-642-04345-1, 2009. "Library Data models under the lens of interoperability and quality", 12th International Conference on Metadata and Semantics Research, (MTSR 2018), Limassol, Cyprus, October 23 - 26, 2018 (abstract), (presentation). "Ontology-based Integration of Cultural Heritage Metadata", 8th Italian Research Conference on Digital Libraries, (IRCDL 2012), Bari, Italy, February 9 - 10, 2012 in M. Agosti, F. Esposito, S. Ferili, N. Ferro (Eds.) Digital Libraries and Archives - 8th Italian Research Conference, IRCDL 2012, Revised Selected Papers, p. IX, Communications in Computer and Information Science (CCIS), Vol. 354:Springer-Verlag, ISBN: 978-3-642-35833-3, 2013 (abstract), (presentation). "Evaluation of Cultural Heritage Digital Collections: the DiLEO Perspective", CHiC: Cultural Heritage in CLEF Workshop, in conjunction with the Conference on Multilingual and Multimodal Information Access Evaluation (CLEF 2011), Amsterdam, The Netherlands, September 20, 2011 , in V. Petras, P. Forner, P. D. Clough (Eds.) CLEF 2011 Labs and Workshop, Notebook Papers, p. 74, 2011 (abstract), (presentation). Tutorial "Exploring Perspectives on the Evaluation of Digital Libraries", 14th European Conference R esearch and Advanced Technology for Digital Libraries, ECDL 2010, Glagow, Scotland, UK, September 2010 Lecture Notes in Computer Science (LNCS) No. 6273: Springer-Verlag, 2010. (tutorial material). University of Patras, (Patras, Greece February 3, 2012 ), University of Athens, (Athens, Greece, June 18 - 19, 2012 ), University of Piraeus (Piraeus, Greece, October 19 , in conjuction with the 21st Panhellenic Conference of Academic Libraries), University of Cyprus, (Nicosia, Cyprus, November 8 - 9, 2012 , in conjuction with the 4th Workshop of the Cypus Library Accociation), University of Macedonia, (Thessaloniki, Greece, June 10 - 11, 2013 ). Thessaloniki, Greece, ( September 19, 2017 , in conjuction with the 21st International Conference on Theory and Practice of Digital Libraries (TPDL2017)), Athens University of Economics and Business, (Athens, Greece, October 30, 2017) . Slides of the taught courses (in Greek).